When any of us are shut down or overwhelmed, the space between can seem as narrow as a tightrope and balancing in that calm seems beyond any realm of possibility. So I want to talk about this side and the other side of the space between. It’s not wrong to shut down, and it’s not wrong to get overwhelmed and propelled into action; it just doesn’t feel as good as the space between. The best way I know to find that space between is to have a friend. Yes one can be friends with one’s self, but it is awfully nice to have a friend next to you to help you find your center. On a good day we are friends to our horses, helping them find their center. On a less than good day…. a shove is as good a boost? 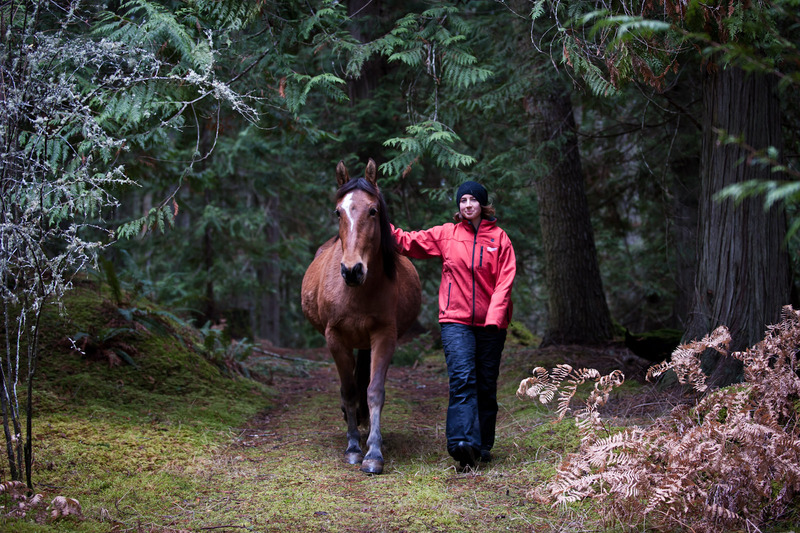 People love community, and horses love their herd. The friends around us keep us interested, and push us to grow and develop our emotional fitness as the natural chaos of community can often be overwhelming. As anyone who has ever been married can tell you, the closer your friends, the more overwhelming they can be; and you wonder why they would choose to hurt you instead of help you? A shove is as good as a boost perhaps? A brilliant riding instructor once told me abuse only comes when we don’t know what else to do. It is the same for both horses and people. Horses kick and bite when they don’t know what else to do, when they feel alone with no friends and know no way to feel better. When they can’t find the space between, the only choices they can see are to take action- to drive away or flee from anything overwhelming. Fight or flight. Or, if neither fight nor flight seem viable, shut down is all that is left. So what do we do when the space between cannot be found? What do we do when our horse is angry, or scared, or shut down? All we can do at that point is be their friend, showing them that we are indeed a friend over and over and again until they believe us. Even if a horse is shut down or disinterested, the same principles apply. Sometimes just the simplicity of being near them, aware of breathing in and out, is an advance and retreat of intense subtlety. Each breath brings you ever so slightly closer and then farther from them. Closer letting them know they are important to you; farther letting them know you understand they feel overwhelmed. So when do we use advance and retreat in a big way, and when do we use it in a small way? 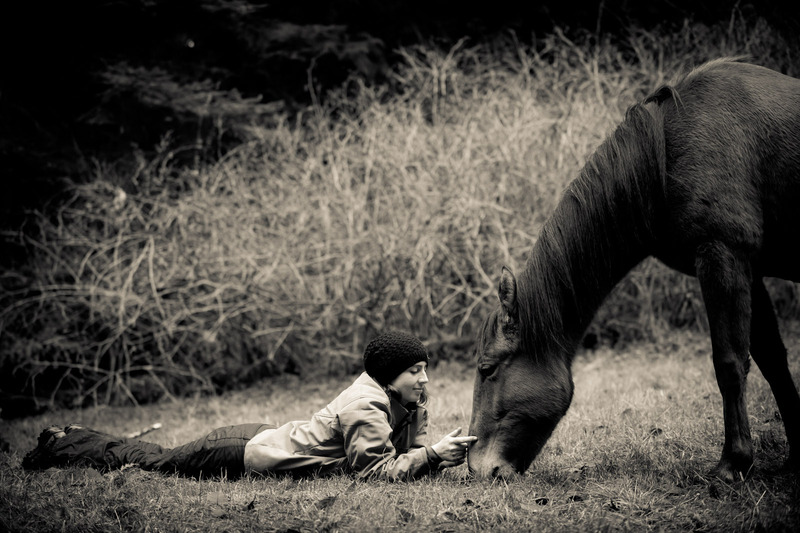 Usually the rule of thumb is: when the horse feels dominant (anger or bored disinterest) we need to be a playful and provocative friend with big movements in and out of their space. 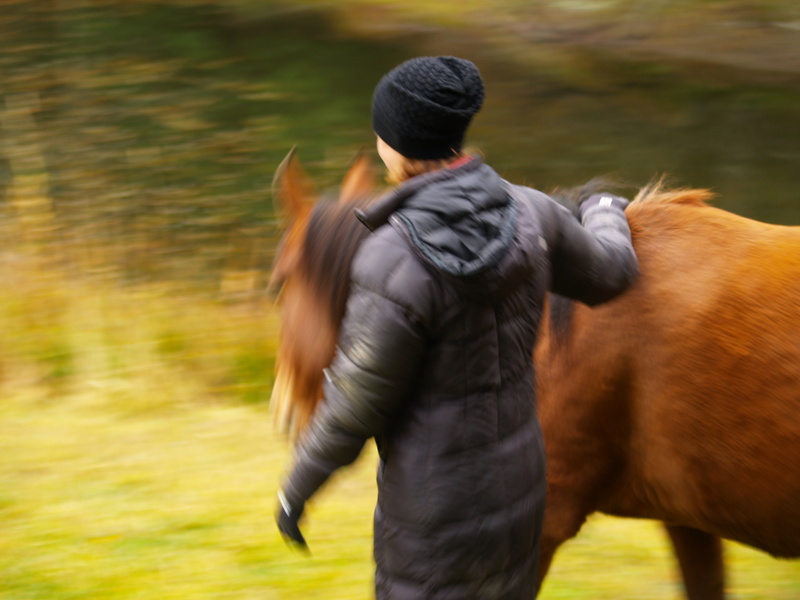 When the horse is feeling lack of confidence (fear or shut down), we need to get quieter, smaller, and gently understanding in our advance and retreat. As soon as you see the horse get a glimpse of what feeling good is like, as soon as the horse knows what the space between feels like for a moment, the most important thing in the world is to be still together. Let the horse enjoy what felt so incomprehensible moments ago- the ears forward, the deep breaths, yawns and signs of comfort are the greatest gift you can give a horse. If your horse can associate you with helping him feel better when he doesn’t know how, that bonds you together like nothing else. We get to be both the cause of overwhelmed or shut down, and the solution. 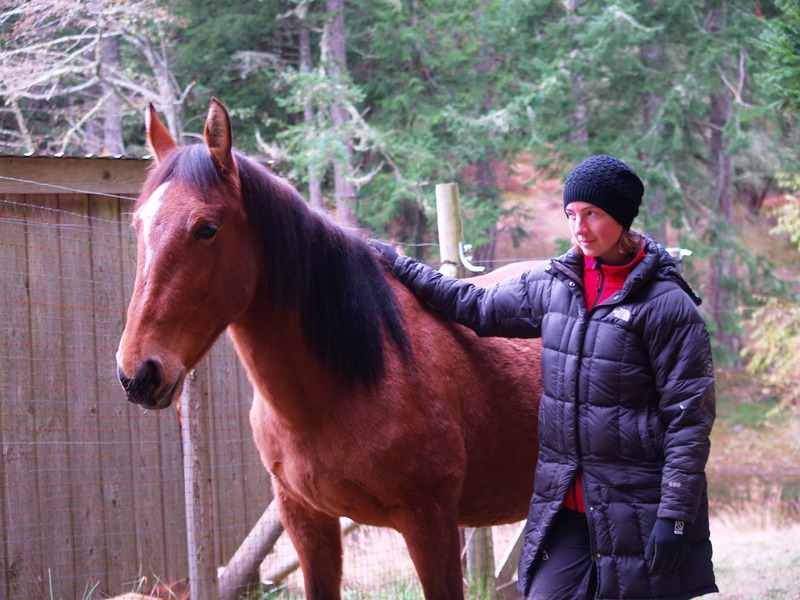 The closer we stay to the space between, the more functional is our relationship with our horse. There is a sense of flow in relationship as there is in anything else. Csikszentmihalyi’s chart is applicable here as well. Today, working in the pouring rain with Myrnah, I found myself wondering, Why do I ask her to do these silly things that make her uncomfortable? Why do I get on and off her back repeatedly even when I can see her lack of confidence in the shake of her head and the tension in her neck? Why do I ask her to step up on a box when she never has before and doesn’t really need to? Why is that conversation important? The tasks themselves are not important; however the tasks create pressure. Pressure causes growth, and, when the pressure is too much for Myrnah, I get to play advance and retreat until she finds her center again. I get to show her I am her friend and I will help her feel good again, no matter how much pressure she feels. Today, beneath the drenching clouds and standing in the puddles, I didn’t really think Myrnah would step up on that silly platform. 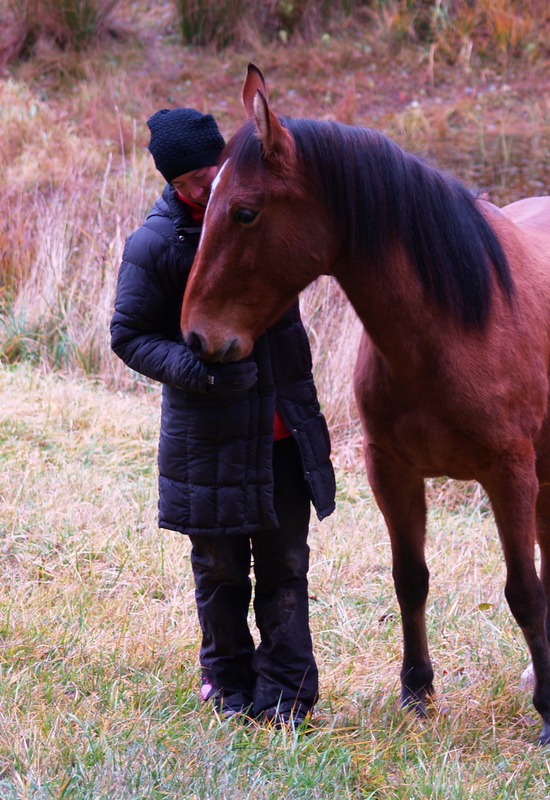 No halter, no rope, no stick, no treats… Nonetheless, the conversation was fascinating. Sometimes we worked in the sweet spot of flow, and she was interested in me and the box; sometimes I pushed too hard, and she marched off angry and alone. I would follow, playing advance and retreat until she felt like I was a friend again. Then we would re-approach and converse about the silly platform. When finally she did step up, calm as could be, I couldn’t wipe the grin from my face. She wasn’t forced into that action, she had plenty of exits, yet she chose it because I asked, and the look on her face was neither shut down nor overwhelmed. She was firmly in the space between. Happy to be quiet and still with me, enjoying life completely. May you always find the space between. Some call it perspective. For some it is the zen state of mind, for some it is the oneness with everything, for some it is non-dualism. Some find it though yoga, some find it through meditation, some find it through art, some study with masters and some stumble upon it by accident. 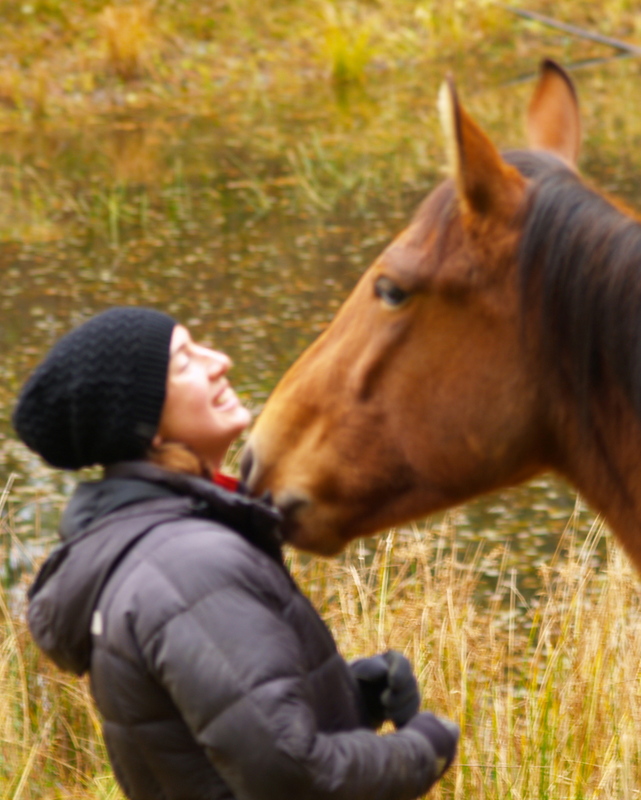 For me, horses bring me to the space between…. Somewhere between disinterest and overwhelming emotion there is a space where life is at its best. We may think we live for emotion, that it is what brings intensity and vibrancy to life… I would argue that perhaps we can only enjoy the intensity of emotions when we have the presence of mind to be confidently one with that feeling, once it becomes too much for us we would rather run away. The space between is this side of overwhelmed and the other side of disinterested. 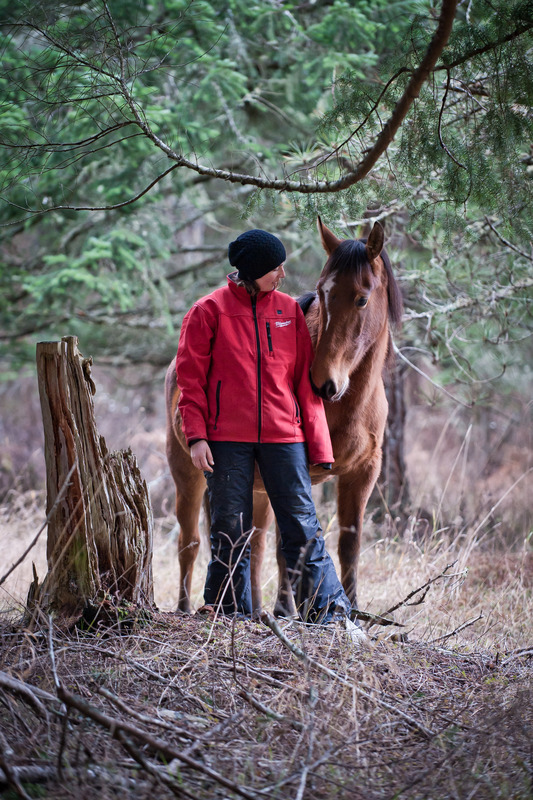 With horses, far too often they can go from uninvolved to scared or angry in the blink of an eye. The space between feels narrow and unforgiving. Training can feel like walking a tight rope, rapids below, wind buffeting from the sides. If we get it right, the feeling of relationship is exhilarating; if we loose our balance, we feel cold and alone wondering where it went wrong. My goal with horses is to build that tight rope into a bridge by broadening our focus, our attention, our fascination, and our enjoyment of life. How we do that links back to one of my first blogs about Mihaly Csikszentmihalyi’s chart and the state of flow. The sense of play that I was pondering last week also comes into account, as well as the balance between drive and draw. 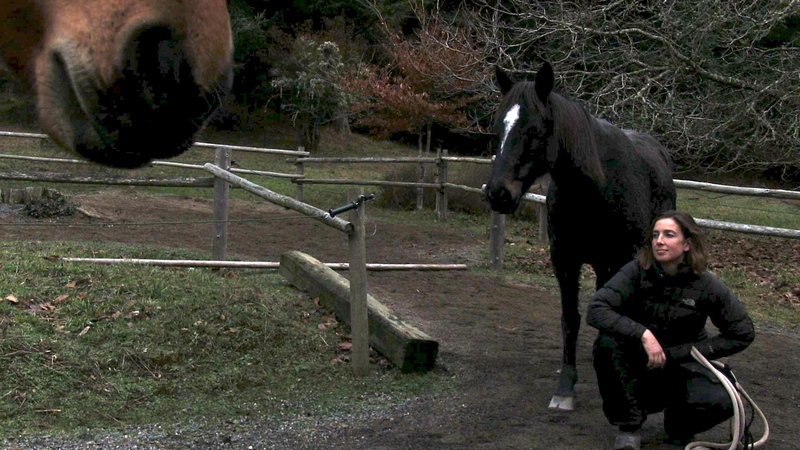 What if the relationship we had with our horse was always this side of overwhelmed and the other side of disinterested? What if, no matter how quiet and repetitive the practice, we always felt fascinated and interested? What if, no matter how high the intensity of emotion and pressure, we felt we had the space and the perspective to enjoy it? The emotion feeding us with energy, a sense of space allowing us confidence that no intensity was too high to handle. Like anything, this usually needs to be built and developed one gradual step at a time. Myrnah and I began with drive and draw. A direct gaze felt like drive to her; to look away and take in the environment felt like draw to her. My job was to play at this drive and draw over and over until she was fascinated by her part in the game, letting her figure out that focus and attention to me would cause me to take action that felt like draw to her. That draw would cause her to feel curiosity and connection with me. When she was disinterested, it would cause me to take action that felt like drive. Here is where the tight rope analogy comes in. Drive too hard and what was once a game now feels overwhelming and frightening to her. Drive has to stay in balance with draw in order for that space between to grow in strength, breadth, and depth. Should I draw away too much with no drive to balance it, disinterest sets in. I am of no interest or use to the horse if I am out of balance. In the beginning it is a delicate balance- a constant back and forth game of drive and draw stimulating interest, keeping the emotions in check, and, step by step, building the tolerance for both intensity and quiet- developing the sense of self that allows intensity to be fulfilling without fear and quiet to be nurturing without boredom. At times the horse can feel like a child with a bad case of Attention Deficit Disorder. All we can do is love them for who they are in that moment and let the play and the games build them into the focused individual we know they can be. People often attribute to me more patience than I actually have. Patience would imply I am weathering boredom with good humor as we train. In fact I find, when the progress of building focus is slow with a horse, I can feel a sense of exhilaration as I play along the tight rope of keeping the horse in that narrow gap between boredom and the desire to escape. This is my art. When you have had the pleasure of partnering with a horse who always seems fascinated by working with you, and never seems phased by the challenges the two of you face, you will never be able to get enough of a relationship like that. It is intoxicating and feeds your soul like nothing else can. Emotions like anger and fear become entertaining, adding depth and richness to experience. Every emotion is one that adds to the beauty of life, and every challenge is one that builds your connection to the world, to yourself, and each other. This project with Myrnah is enriching and developing my professional understanding with unprecedented speed and clarity. When I hit a stumbling block with one of my other horses, I ask myself: What would I do if this were Myrnah? What would I do if I had no tools to cause an action? Again and again it comes back to building the focus, and the attention, and the connection- building the space between. May we all have the space to enjoy life to it’s fullest. Today Myrnah and I took our longest walk yet: Twenty minutes out though the wide open woods with John and Cameron keeping us company . Thank you John for the brilliant photographs. Christmas time is shaping up beautifully this year! The wet Northwest weather has finally driven us to the wintertime necessity of pulling the horses off the pastures and into paddocks of drier footing. Our summertime pastures are about a mile down the road from my house. The winter paddocks are close, tucked up all around my home, so with this move came a whole new learning opportunity for Myrnah and Cleo: positivity in community. Myrnah and Cleo still have their own paddock, at least for the moment. The biggest change for them is the level of chaos around. Five of the most exuberant, gleeful, and energetic kids (my daily students) are now part of the Mustang’s regular environment. As the girls run, jump, laugh, and play in and amongst their five very patient horses, Cleo and Myrnah watch on in what seems like fascination and disbelief. 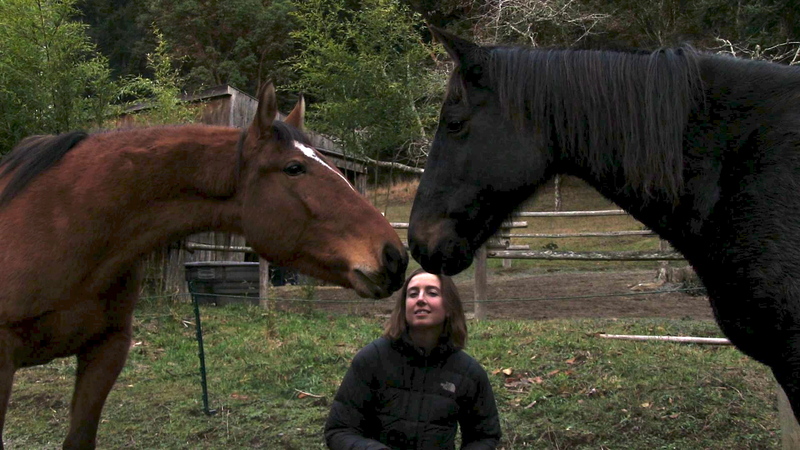 The girls adore the mustangs and are good at being quiet when interacting directly with them. However, when the girls are with their own horses being loud and fun, I think it is just wonderful for Myrnah and Cleo to see all that commotion quietly accepted to by the other horses. The first day the additional horses had made their home at Sanctuary Lane, I took Myrnah out for a walk. Interestingly, she did not want to go see the other horses at all. We played advance and retreat, walking back and forth to and fro, until she worked up the courage to get just a little curious- just curious enough to stand and stare at them where they were resting in the woods at the end of our short driveway. In between long rests for Myrnah’s courage to build, we would weave left and right slowly making our way down the drive two steps at a time. When we got to where the horses were grouped under the trees we just stood across the fence from them, everyone looking at everyone. Turning around to retreat toward the home paddock seemed a great relief for Myrnah that day. 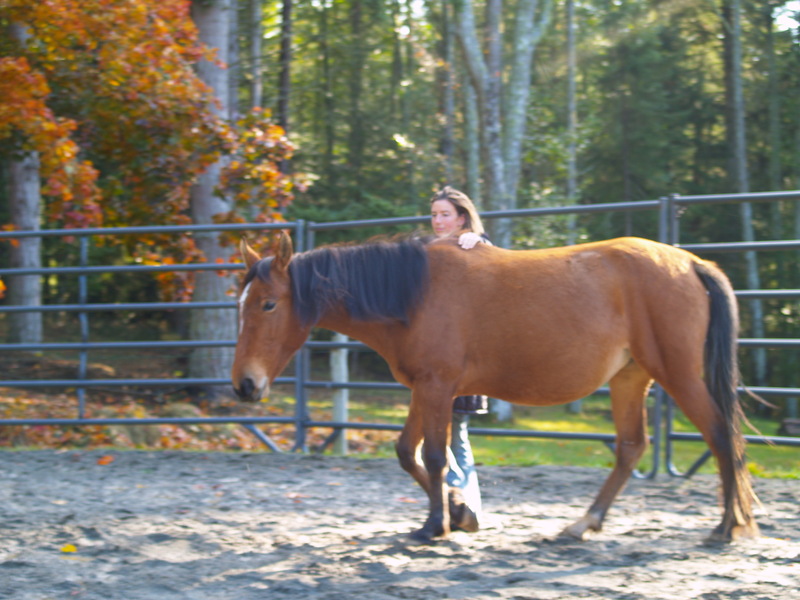 I am continually amazed that Myrnah and I can do all this with no halter or rope, no stick, and no treats- only the body language between us necessary. Myrnah is only three, and when I watched her with her wild herd in Oregon she seemed fairly low in the hierarchy. Obviously a new herd is a little intimidating for her and is something we will work up to slowly. Cleo is definitely the higher strung of the two Mustangs, and had all the same hesitations walking out to where the new herd was gathered. With her energy, much higher than Myrnah’s, rippling around her her like a force field, I find I am reassured by the halter and rope connection between us. When we got to the other horses, Cleo lost all her reserve showing how much more social she is. She wanted to plunge right over to the new horses and say hi nose to nose. There was an electric wire between us and them, so I kept her a little ways away in spite of her positivity. I was glad to see it none the less. 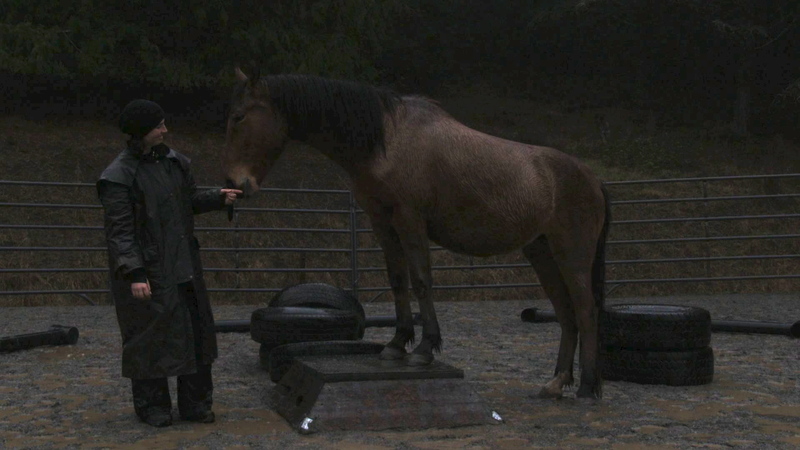 The following day after lessons were over, the kids and the chaos gone for the day, I gathered my beautiful black Mustang mare, Saavedra, from her paddock and brought her over to meet Myrnah and Cleo. The wonderful thing about Saavedra is her complete trust in my leadership around other horses. When I am with her, there is never an ear laid back, or any sort of threat. She is quiet and easy and relaxed no matter what other horses we encounter. My goal is to impress upon Myrnah and Cleo that this is the kind of behavior expected around humans. They may play whatever dominance games they choose out in the far reaches of the field, however, when humans are close, all dominance games and aggression must be put aside allowing the humans to take leadership. Saavedra was perfectly wonderful as Cleo came right up to sniff noses, then spun for a kick.. I stepped in with a yell before she had a chance, and off she ran. Myrnah came and said hi and then pinned her ears and went for a charge, teeth bared. I stepped in again and sent her away. Saavedra played her part perfectly: interested, friendly, and simply moving quietly out of the way as the other mares figured out the rules with me. We then followed them walking around the paddock for a while, allowing them to lead us where they would, Saavedra and I taking a submissive following role and asking to be accepted into their herd. When they stood still, we just stood with them, close enough to be part of the herd, quiet enough they didn’t feel like we were trying to drive them. Eventually Myrnah came over and very positively and gently sniffed noses with Saavedra. Then she stood with us for a moment before she wandered off to eat some hay. Cleo was not so brave; she had been yelled at by me once and wasn’t going to risk it again. We could rest somewhat close to her, but it is going to take some time before she gets brave enough to come over to Saavedra and me again. I am OK with that; I would rather she be more hesitant than aggressive if I have to pick one side of the spectrum. This process of developing positivity in community is one that takes some time, but is priceless when it comes to ease of coexisting- horses and people together. Saavedra and I will continue to visit with Myrnah and Cleo often. Over time they will understand how socializing around people works, and then I will introduce someone else to them- perhaps a horse more abrasive in nature, more of a challenge to be easy around. For now, Saavedra is the best partner I could possibly have in this process. By spring when they all go out in the big pastures together, new Mustangs included, I hope to have everyone socialized and positive in community. 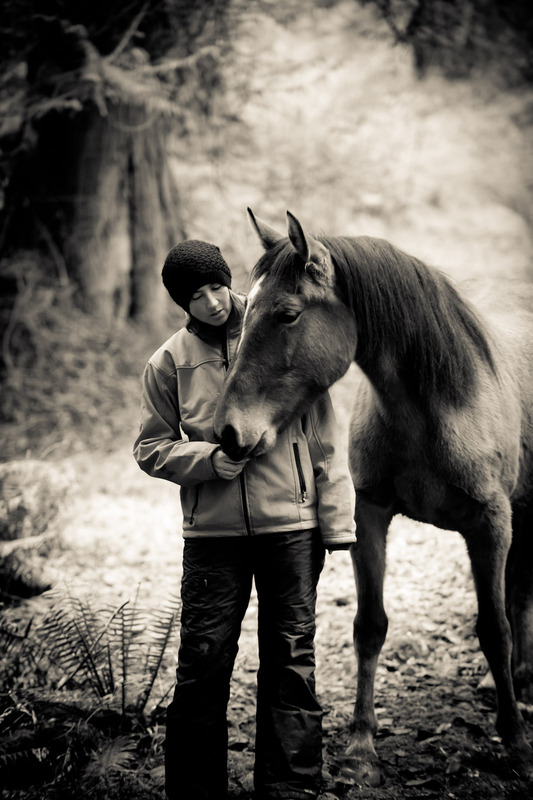 I do this for me, and for the safety of all the people who spend time with my horses. A part of me also hopes it influences their behavior with eachother: maybe, just maybe if the horses spend time being kind and quiet and gentle with each other around me, their need for dominance games of kicking and biting out in the field will ease and quiet. All I want is the best for my horses, and I intend to continue learning all I can as we strive to be the best of ourselves together. Two weeks after Myrnah and I began our project, a crew from the BLM came up to San Juan Island and spent some time putting together a story about us. Just posted this week! I love looking back at the beautiful simplicity of those first weeks. Every once in a while I find I have become far too serious and I have forgotten life can be whatever I choose to make of it. I may not be able to control the world around me, but I certainly can decide how I want to respond to it. If I act as though life is a game, the results tend toward laughter, enthusiasm, and interest followed by a contented peace. If I think of it as work the resulting emotions tend toward tolerance, resignation, intense effort and exhaustion. The horses also feel these things. They are horses not people, so it is different I am sure, but they do feel pure emotion of their own variety. How they feel about work versus play is clearly visible on their features and felt in their responses when you know what to look for. I believe most of us would rather be partners with horses who are enthusiastic and interested rather than tolerant and resigned. So how do we make horse training a game instead of a job? Myrnah and I are partners. When we work together I hope we bring out the best in each other. On those occasions that we don’t seem to bring out the best in each other, I ask myself: What do I need to do to make our time together more like a game and less like a job? How can I initiate interactions that are playful and fun? What do I need to do to find resting points that are peaceful for both of us together? Asking questions has become one of the most important parts of this process with Myrnah. We are following a training process together that has no instruction manual. Our course is largely uncharted, so when I find myself adrift and not sure where to turn, I try to figure out what question I need to ask. Then I just wait. Life has a funny way of showing me just the experience I need to find the answer and the next step in our process. Over the last few weeks Myrnah has learned to be so soft about yielding her hind end, turning towards me with ease when I drop my hand back on her belly to ask. Myrnah also has gotten very good at the specificity of standing next to a mounting block and allowing me to stand over her quietly. The interesting part of the process now is getting on to ride. I’m not in a hurry- Myrnah is only three and largely pregnant. More weight on her back is probably not a comfortable thought for her. I am, however, very interested in the conversation she and I get to have ABOUT my getting on. The first couple of times I got on, Myrnah was eating hay. She was unconcerned about my sitting on her back and also unengaged. What I would like to feel is that she actually wants me up there. Now that she will easily sidle up to the mounting block, I can play with leaning on and off, advancing and retreating while watching her expressions and movements. Some days she is quiet letting me hang on her, and gently reaching around to nuzzle me. Other days she seems more irritated when she reaches around to check in with me and steps away quickly if I leave my weight on her for too long. I am not sure how to make this more like a game she enjoys and less like a job she tolerates (or not); I just know my intuition is telling me play is the key. Somehow we need to make the process of riding a game she likes playing….. I like the puzzle. The pieces fit together in a myriad of different ways, yet the end goal is always simply to have everyone as happy as possible. Here is to life as a game! Myrnah and I walked out the gate and past all the fences yesterday; we have reached that point of trust in each other, and it feels amazing. 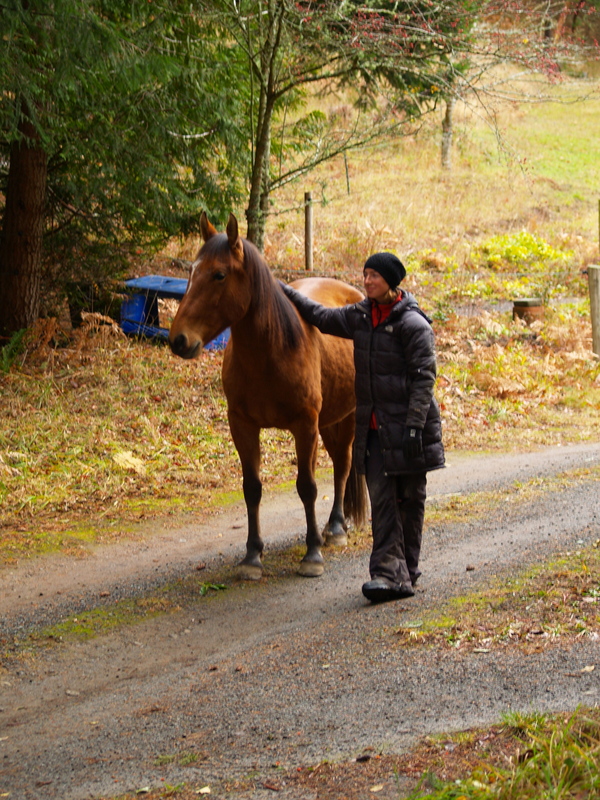 We walked out of the paddock, through the front yard, and down the drive to the edge of the property: no fences between us and the rest of the world, no boundaries – just trust. Myrnah could have run away, but she didn’t. At the end of our driveway she looked longingly down the road, but acquiesced when I told her it was time to head home again- that was far enough for our fist venture beyond the fences. Trust has to be earned. All of us intrinsically need to feel safe. When Myrnah and Cleo first came home with me, trust was built between us in small incremental steps. As a human I am a natural predator; horses are natural prey animals and as such we have very different instincts. Prey animals have a tendency to run from fear; predators have a tendency to attack and control when faced with fear. If we are going to work together, we have to build trust in a way that allows us to act like partners instead of predators and prey. 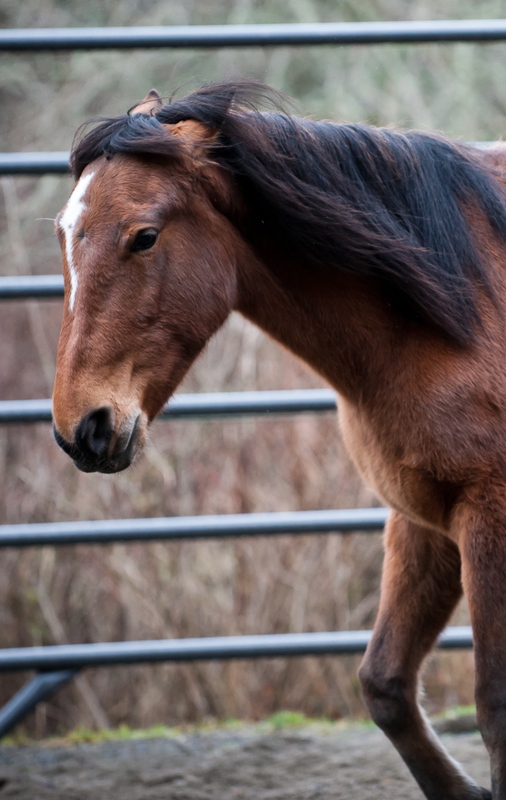 Boundaries such as ropes or fences help us predators feel in control of prey animals; the lack of boundaries makes a horse feel safer, because they can run if they need to. Living as I do in a small island community where horses would not be welcome wandering free wherever they chose, I have to use fences to control them. It is a very predator-type thing to do, so I have done my best to make the paddock as big as possible and always give them room to run away from me when we are working together. In the beginning we had six-foot-high fences. Once the trust between us had built to a point that lowered the intensity of their desire to flee, we moved things around and the fences are closer to four feet now. A little while later the horses trusted us enough to stay in enclosures of a single electric line. If the fear is high enough, horses will jump or run through almost anything. If a human’s fear is high enough, we will enclose and abuse horses in an effort to feel safe around them. Written like that it seems rather obvious neither tactic is in the best interest of a functioning partnership. Yet going against our natural instincts is a constant challenge. Trust is built with time and understanding. The ability to make requests of each other and have those requests honored is what builds trust. Simple things illustrate this well. Humans like to pet animals. Horses don’t naturally like being petted (though domestic horses often do because they have been taught). A wild mustang enjoys being groomed by a partner, but being petted by a not entirely trusted predator is different. 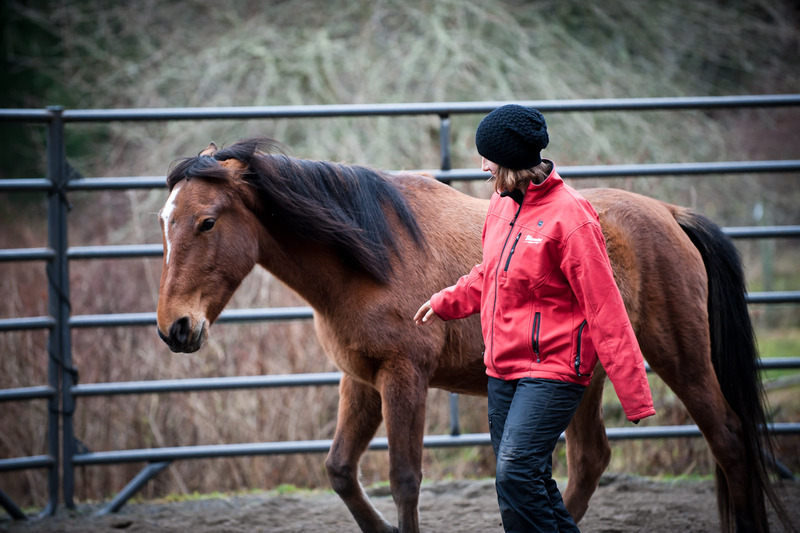 For a partnership to develop, the human can request permission to pet the horse and, if allowed, respect when the horse requests the petting action to stop. Now if the horse reaches out with their nose and asks the person to stop and the request is ignored, the horse resorts to instinct and walks away. This is a very quiet example of distrust instead of partnership. In order for trust to build, requests have to be heard and honored between partners. That is a great deal harder than it sounds. 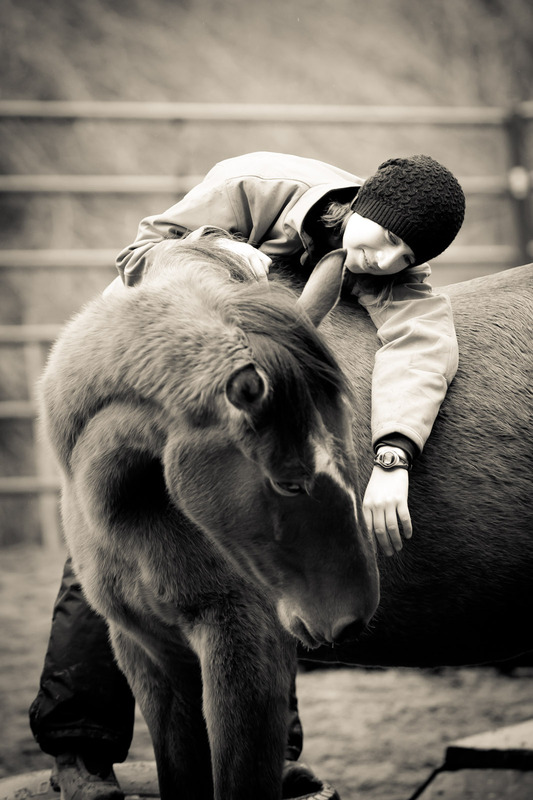 As people we like petting and it is hard for us to remember horses may be asking for something different. 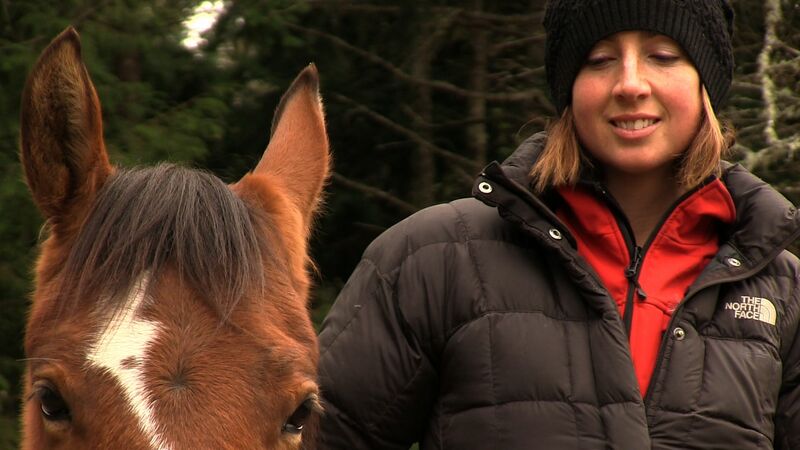 The next time a horse moves away from you, ask yourself what might the horse have wanted? What was he asking for that you didn’t hear? Sometimes the horse is asking that you follow when they walk away, because being together like a herd feels safe. Usually though, I find they are first asking us to be quiet. Just exist and be quiet together. As the saying goes, “be a human being, not a human doing”. As a human, when a horse walks away we want to control it with a rope, or trap it with a fence, or chase it so it knows that is “wrong” or stand back and take it personally that the horse doesn’t want to be with us. If we can think like a horse though and follow, playing with advance and retreat as a game like a horse would, until the trust is built on understanding the horse’s request for a herd in that moment, then we are back on track to building a strong mutual trust, and it’s our turn to make a request. 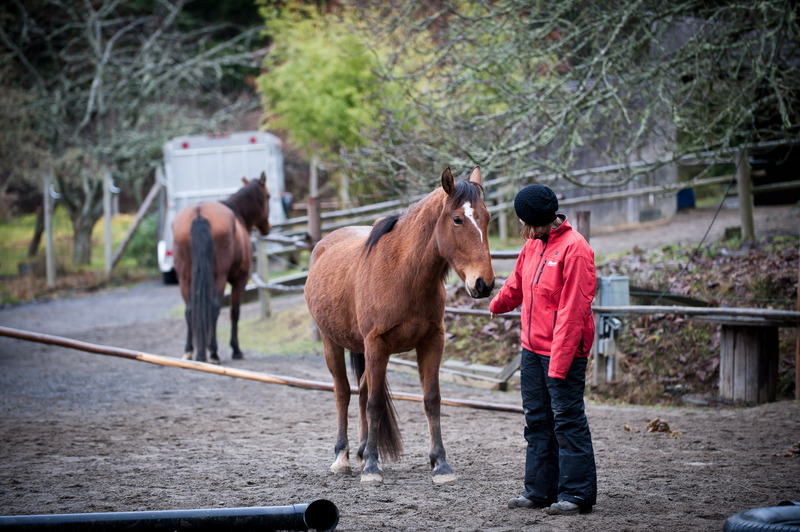 Asking the horse to move, or asking him to let us pet him, the important part is to listen for when he thinks it is his turn to ask us for something. Mutual respect of requests is the basis for mutual trust. So when Myrnah and I began to go out walking, we started with a boundary of high fences. If the fledgling trust between us should have plummeted in its first flights, the boundary fence would have kept us together somewhat. I aimed for a balance: fences intact to keep my predator instinct feeling safe, fences far enough away to allow Myrnah her prey animal instinct to flee should she need it. As time moved on and the trust grew, the boundary fences became smaller and farther way. Yesterday our trust allowed us to let go of the boundary altogether for a short period of time. The freedom of knowing there were no fences to catch Myrnah if she ran was simply exhilarating. Although we are so bonded now, that I never doubted her. I think she and I agree, exploring the world is most fun, with someone you trust. No boundaries – just trust – is an ever evolving concept. Yesterday was just a milestone along the way. Here is to the many more ahead of us.